I am Full Professor of Semiotics and Literary Theory at Nanjing Normal University, China. Currently I am serving as Treasurer in the Bureau of the IASS-AIS, as Chief of the China Semiotic Alliance (the alliance of the five major semiotics centers in mainland China), Honorary President of Jiangsu Foreign Languages & Linguistics Society, Vice President of the Chinese National Society of Bakhtin Studies, Director of the “International Institute for Semiotic Studies” and Academic Committee Lead in the School of Foreign Languages and Cultures at Nanjing Normal University, as well as being President of the Editorial Committee of Chinese Semiotic Studies (a major International semiotics journal published with De Gruyter), among other academic positions. 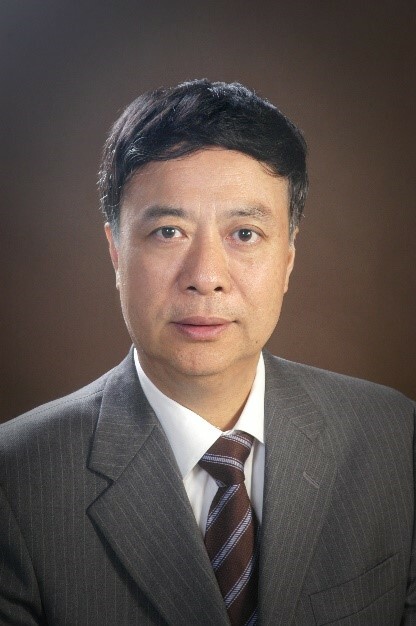 Since I was elected an Executive Member representing China in 2009, I have served IASS-AIS with distinction by organizing major global events under its auspices*, generating and boosting revenue, maintaining and expanding membership, creating opportunities of publication for members, supporting young IASS-AIS scholars, and offering international PhD programs and courses in semiotics. Through these efforts, I have brought together semioticians and semiotically-minded scholars in relevant fields from Asia, Europe, South America, North America, Africa and Oceania. Especially in Asia, where collaborations in semiotics among nations and regions had remained stagnant for decades, scholarly and educational connections in semiotics have now been revived and reinforced through the initiatives I have headed, significantly benefiting researchers, university faculty and students from China, Korea, Japan, Russia, Iran, India, Turkey, Israel, Myanmar, Vietnam, and Thailand. I am running for the Vice-presidency (Asia). As a scholar, I value both high-quality research output and constant readiness for service. I have published extensively on semiotics and relevant fields, including 6 award-winning monographs, 8 edited volumes, 4 translated volumes, 3 major book series, and about 80 peer-reviewed journal papers. In terms of service in the Bureau of IASS-AIS, my focus has always been on building and maintaining academic connections and professional opportunities for our fellow semioticians from around the world. Integrating resources for information and communication technologies in Asian semiotics organizations to increase the global visibility of all relevant semiotics initiatives in and out of Asia. For example, the International Symposium of IASS-AIS in 2008, the 11th World Congress of IASS-AIS in 2012, the 1st IASS-AIS—NNU Advanced Semiotics Workshop in 2018. (This year, I am organizing the 2nd IASS-AIS—NNU Advanced Semiotics Workshop from July 5th-7th).